Why choose Hult for your Executive MBA? Hult's Global Executive MBA is the ideal solution for working international professionals. Employing a flexible but practical approach to business education, this EMBA brings together people, cultures, and ideas from all around the world, creating a mass of visionary and brilliant graduates. Not only does the program equip delegates with priceless business knowledge, this Hult Global EMBA allows delegates to flourish as individuals, in turn, enabling them to thrive in the global economy. Hult’s Global Executive MBA program is tailored to the schedules of busy working professionals who require specific scheduling needs. 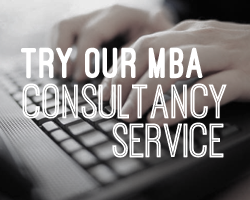 From a minimum of 18 months to a maximum of 5 years, our flexible MBA degree can be completed at your own pace. On average, Hult Executive MBA students graduate in two years. Our weekly schedule is optimal for professionals and executives who live or work near Hult’s Dubai or London campuses and can study on a weekly basis. Our monthly schedule is optional for professionals and executives who are within three hours’ flying time of Dubai or London and can study on a monthly basis. Upon completion of this program, candidates will hold a Global Executive Master of Business Administration from Hult International Business School. The Hult LEAP Method is a hands-on approach to learning that is at the heart of our curriculum, culminating in a presentation to the senior management of a Fortune 500 company. Like most top business schools, Hult faculty extensively employs the case study methodology to help delegates understand the theory in the context of a business problem. Professors encourage thought-provoking debate, giving students the chance to benefit from the wealth of experience and perspectives that diverse classmates bring. Through discussions with industry experts and company visits, the realities of executing classroom theory are brought to life. Meaningful dialogue with active business leaders helps students appreciate how real-world executives make decisions in a fast-moving, competitive environment with imperfect information. Participate in a real-world project for a major company. With a small team of classmates and a mentor, delegates compete against other teams to develop a growth plan for a Fortune 500 company. Unlike other business schools that are research-oriented, Hult’s talented pool of faculty are academics who also have significant business experience. We have developed the Executive MBA program to give global executives a flexible learning experience so that they do not have to put their careers on hold. This unique executive education at Hult gives you the toolkit to deepen your knowledge in the key areas of business, while evolving your approach to the field and establishing you as a major player in business. * Students attending Hult Dubai will be invoiced in USD at the prevailing exchange rate.